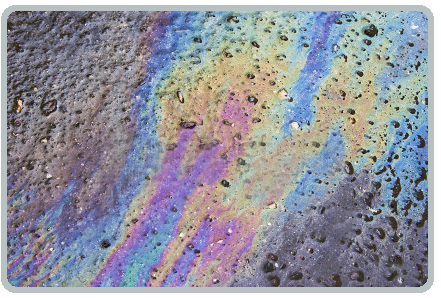 Oil Removal: Tensid’s oil removers are effective for removal of heavy oil and grease stains from all surfaces. Used successfully on projects such as the granite surfaces of Leicester City Centre. Micro Degreaser uses modern micro emulsion technology to remove even the heaviest grease and oil. Micro Degreaser is a liquid which removes oil and grease from all surfaces. Areas of application include rail engineering pits, car parks, driveways, plant and machinery ports and much more. It is non hazardous and easy to use. Bio Oil Digester is effective in removing petroleum based oils and greases. It inoculates oil and grease based stains with micro-organisms which work to degrade the contamination. Essential micronutrients stimulate this action. In this way Bio Oil Digester will remove stains embedded in porous concrete, stone, asphalt and soil as well as non-porous surfaces.